Take a step back in time to the 1960’s, where MIT professor and computer scientist John McCarthy, one of the fathers of Artificial Intelligence, predicted computing may someday be a utility like the telephone, and it’s users would pay for the data they use, but have the resources to create their own systems. If you think about it, Professor McCarthy predicted the advent of cloud computing software, which can be found in a majority of connected devices such as smart phones, tablets, laptops and desktop computers. Since 1996, the “Cloud” has grown from a theoretical construct to a part of day to day life. This leaves a sense of wonder on how the cloud will evolve in the near future, which today, we are going to discuss the future of the cloud and how it will be beneficial to all. Containers enable software developers to program individual codes and distribute applications and configurations into a single digital container, which cloud service providers enable individual businesses a safe and optimized environment to work. This allows almost limitless possibilities and scalabilities to users. For example, a company now can accept payments instantly from anywhere in the world. This is possible due the integration of cloud computing software and online money transfer services. Services such as these are also available to peer-to-peer lending, so economically speaking, we are in a new era. 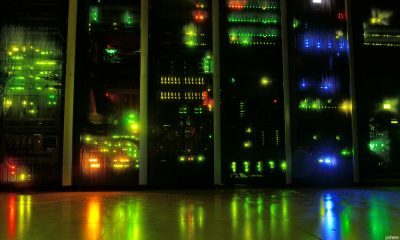 Since the cloud is a virtual platform, computer systems are interchangeable in the since that consumers now can pick and choose specific parts and applications which provide computation power, streamlined communications systems, and greater proprietary off-site data storage options. 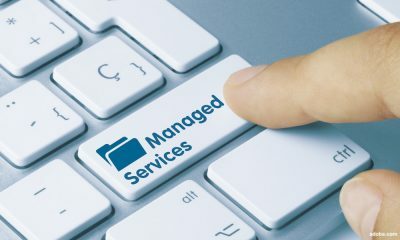 These systems are user friendly and cheaper than the common computer infrastructure of the recent past, due to the fact businesses no longer need to maintain expensive in-house computer servers and administrative staff. With the common reoccurrence of cyber attacks and data breaches, information security is a major concern of governments, businesses, and individuals alike. Fear has lead to some tactical developmental errors, considering this fear has prompted nations and companies to attempt to develop their own private cloud networks. Theoretically speaking, it makes sense, but these poorly-built systems are often subpar to major cloud service providers in terms of information security and infrastructure, which has led to a migration back to larger cloud providers. Like most technological innovations, cloud based computing has already made life a little easier, businesses more efficient and streamlined, and government data more secure and accessible. This trend isn’t slowing down, more and more people and companies are converting to virtual computing vs. analog servers and software. 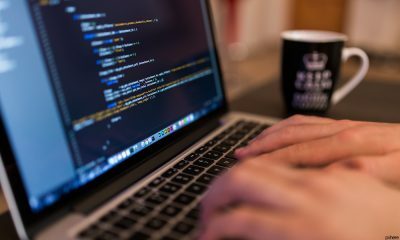 Imagine being able to access any computer system in your network with a smartphone or a laptop anywhere in the world, well that’s a distinct possibility now. Thank you for taking time from your day to check out our article and educate yourself on cloud computing, it’s safe to say things aren’t going to change and the future has some interesting technological advances in store. What Is Cloud Computing in 2018? 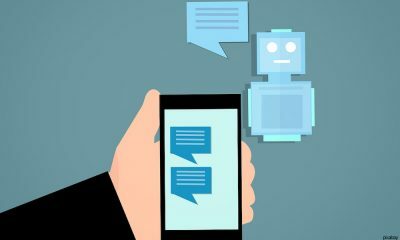 Are Chatbots (and Live Chat) Good for Business? The retail industry has changed dramatically over the course of the last decade. If you are still using an old-fashioned cash register to complete sales, you could be setting yourself up for failure. Businesses of all sizes are increasingly embracing modern POS systems and for good reason. These systems streamline the checkout process, improve customer experience, and make running a business a whole lot more efficient. They’re also powerful inventory management tools that make the once-dreaded task of “doing inventory” a relic of the past. Once you learn how to use point of sale systems, keeping track of what you have in stock and making smart purchasing decisions becomes easier than ever before. Manual inventory processes can be a nightmare. With a modern POS system, though, much of the process can be automated. Keep reading to learn more about the benefits of using POS systems to manage inventory. There is a lot of room for error when you do inventory manually. It takes a lot of time to conduct physical counts and ensure that the numbers you come up with match the numbers you have in your records. The process is exhausting, overwhelming, and can be downright frustrating, so it’s no surprise that mistakes commonly occur. Simply miscounting can result in your store running out of popular products which can, of course, cost your business money. Managing your inventory using a POS system eliminates much of the possibility for error. Once it’s up and running, your software automatically keeps track of incoming merchandise and sales. It also accounts for product returns. Using POS software ensures much greater accuracy and helps you avoid potentially costly mistakes. Using an automated inventory system can help you avoid employee theft which is, sadly, a major source of lost revenue in the retail industry. When things are kept track of automatically, it is much more difficult for dishonest employees to “fudge” numbers to hide their illegal activities. When you use a POS system to manage your inventory, the numbers are updated instantly as changes occur. These real-time inventory updates lower the risk of shrink because the inflow and outflow of inventory are both closely tied to transactions and deliveries. When a change in stock occurs, it can be attributed to a specific event. When a shipment comes in or a customer returns a product, the number goes up. When a product is sold, the number goes down. If a change occurs that is not associated with a known event, it’s likely unauthorized. 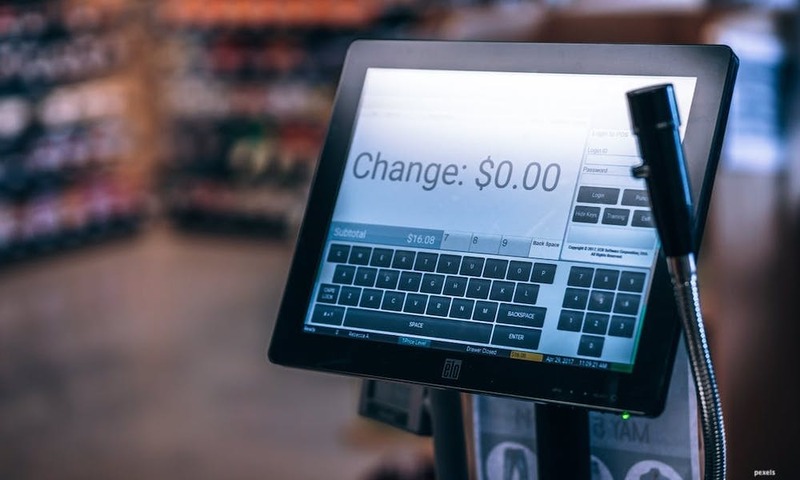 By providing updates in real-time, a POS system makes it easy for you (or a law enforcement official) to determine exactly when an unauthorized or unexplained transaction occurred and track down who was on the clock at the time. One of the most challenging things about buying stock for a retail store is knowing how much to buy. If you purchase too little, you risk running out and losing out on sales. This can result in a poor customer experience that makes some people decide to stop shopping at your store. If you buy too much inventory, though, you could end up with a bunch of unsold merchandise cluttering up your store room. When you use a POS system to manage your inventory, you will be able to see exactly how well certain products sell. You’ll be able to monitor your best sellers and make informed decisions regarding how much inventory you need to have on hand. Your POS software may even enable you to automatically order more stock when your inventory drops below a certain level. You can also use your system to forecast seasonal trends. With this information, you can make smart decisions when stocking up on items that tend to sell well at certain times of the year. While you can’t actually look into the future to see what customers will be buying and when, you can use a good POS system to accurately forecast trends and invest in inventory wisely. If you are like many small business owners, you don’t have just one brick and mortar store where you sell your products. You probably have more locations and/or sell your products online. With the right POS system, you can seamlessly sync data from all of your physical locations as well as your e-commerce platform. This enables you to monitor inventory for all of your locations in one place. If you have multiple stores, your employees can check other stores to see if products are in stock. You can also use a POS system to ensure consistency across all locations. Rather than manually checking prices at multiple stores, you can set them all using your POS software. You can also use the software to set promotional prices and discounts across all of your locations. Since these systems are often cloud-based, you can access and update the data from virtually anywhere. 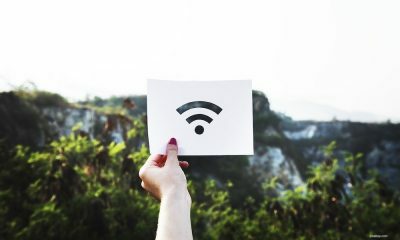 As long as you have an Internet connection, you can keep an eye on your inventory and other important data even when you are not at work. Keeping track of inventory is a challenge for many retail business owners. Whether you are running a small shop or a large department store, knowing what you have in stock at all times is crucial. Manual inventory tracking methods are time-consuming, frustrating, and often inaccurate. By upgrading to a modern POS system, it’s possible to automate many of your inventory tracking processes. Using POS systems to manage inventory also helps you make informed decisions, forecast buying trends, and even prevent employee theft. 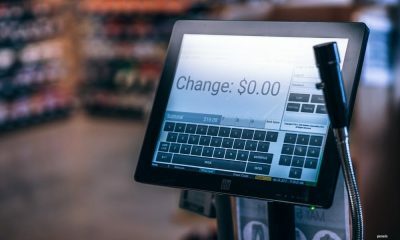 There are many different point of sale systems on the market, all of which have their own unique features and capabilities. If you own a retail store, look for one that allows you to keep track of and manage inventory. With the right system in place, you’ll be able to waste less time worrying about inventory and devote more time to growing your business. All types of commerce move faster these days, but business-to-business (B2B) companies in particular have a reputation for being slow to adopt new processes and innovate on existing technologies. Perhaps it’s that B2B interactions have traditionally developed through more personal means. Or that substantially larger volumes per order meant the marketing ecosystem moved slower. Whatever the case, B2B’s once accurate reputation is now a stereotype. Let’s discuss five trends changing B2B technologies and processes. Increased effort in B2C to deliver great customer experiences has revolutionized what we expect in shipping. B2B companies don’t need to replicate the shipping experience offered in B2C, but those consumers work for businesses as well. Faster expectation has led B2B organizations to tap into automation and AI to modernize various aspects of their supply chain. For instance, AI can anticipate when a part is about to run out and have more ordered before any manufacturing downtime occurs. On the fulfillment end, smart order tracking software can analyze order patterns against current inventory levels to improve demand forecasting. Business intelligence is experiencing a revival in terms of usage and discussion. A big reason for this is because business intelligence is finally becoming relatable! For decades B2B companies have invested significant sums into their data and insight-generation methods. A major flaw with this type of intelligence, however, is that the cogs of the company (a.k.a. the employees) couldn’t access data, and therefore knowledge. The only insights they received were on an incremental basis. Now, with the advent of the cloud and tech-agnostic tools, data is getting more accessible and able to be leveraged by employees across the business. The short- and long-term benefits of this can be massive, as access to knowledge can improve employee retention rates and engagement levels. Free-flowing insights also enhance collaboration and tear down long-standing data silos within companies. Given the popularity of voice-search devices and all signs pointing toward that fandom increasing, it only makes sense to implement the technology in the workplace. The challenge isn’t so much getting employees to adopt voice technology (many employees in a B2B company probably have a voice assistant at home). Instead, business leaders lack clarity on the efficiency and monetization potential of voice search. These sentiments have deprioritized an important initiative. That should change this year as consumer voice search habits continue increasing and company executives realize the long-term value of aiding workflows with voice-search capabilities. Artificial intelligence (AI) is a regular topic of discussion in just about every industry that exists. It’s no different in the data analytics space. As companies look to broaden data access in their organizations, AI and machine learning (ML) are central roles in making sure actionable insights are generated for all. 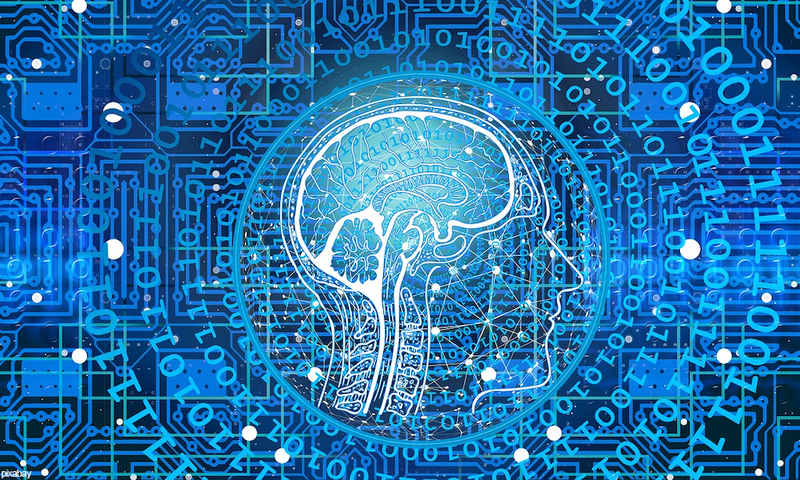 While many things surrounding AI are unclear, it’s effect on analytics will be one of accessibility and helping non-technical users drill into data and find sharper insights. For instance, a feature called SpotIQ, created by analytics company ThoughtSpot, runs dozens of insight-detection algorithms on every query users search to provide the most accurate answer possible. The tool also alerts users of any hidden insights lurking in the data. SpotIQ also uses machine learning to personalize the analytics it delivers to end users, increasing user adoption and daily data interactions. Outbound marketing has been the bread and butter of B2B companies for some time. However, similar to Amazon’s reshaping of order fulfillment, our digital society has changed the protocol for customer messaging. This is why email marketing, blogging, white-papers and other types of inbound marketing are so effective in every stage of the customer journey. The reason why inbound marketing wins at every level of the funnel is that digital commerce doesn’t always recognize or imitate traditional funnels. There is an ongoing interplay between various stages of the customer journey. The best way for B2B organizations to position themselves for success is to offer quality content wherever their customers and leads congregate. Community forums and question sites like Reddit and Quora are seeing a lot of activity from B2B companies through the medium of quality contributions and subtle brand plugging. Depending on the business, other quality-driven content mediums could include podcasts, a Slack channel, or even creating an internal online community or forum that discusses topics related to your industry. For example, the SEO company Moz runs a Q&A forum on their site which is effective at generating search traffic, building brand awareness, and moving new users along the funnel. The B2B space may not move at the pace that the B2C industry does, but it’s not as far behind as its reputation would have us believe. Look for these five trends to gradually influence more B2B workflows in 2019. Peter Thiel famously quipped that all successful businesses were based on secrets. Coca-cola became the most prominent soft drinks firm in the world by never letting anyone know how to make coke. McDonald’s grew to be the biggest fast food chain in the world by keeping its Big Mac recipe under wraps. And Google became the largest search giant on the internet by protecting its search algorithm IP. Protecting trade secrets is the bread and butter of successful firms. Keeping a secret is often more potent than getting a patent because secrets never expire. Patents do. Protecting your trade secrets is a somewhat complicated process. You have to stop people from outside your organisation getting hold of the critical details, as well as preventing sabotage from within. The good news is that many firms successfully protect their secrets every day, with Coca-cola being a case in point. It is possible, in theory, to keep something highly valuable under wraps for a very long time, but you have to know what you’re doing. If you pull it off, then the rewards can be exceptional. Companies that successfully keep secrets maintain their product edge, and nobody else can compete with them effectively. They either have to find a new method to achieve the same ends (which is unlikely), or they have to alter their product somehow, making it less of a direct competitor. Non-disclosure agreements are a powerful tool for any firm wanting to protect its IP. What these agreements say is that anyone with access to restricted information won’t repeat what they’ve learned with any third party unless given explicit permission by the business. NDAs are useful because of the legal consequences of failing to comply. Hefty fines and even prison sentences can follow a breach of contract. If you want to keep a trade secret, it’s important to know exactly what it is that you’re protecting. Is it an idea? A recipe? A piece of programming? Where exactly does the value lie? Often you’ll find that the value of your IP resides in several locations. For instance, not only does Coca-cola have to know all of the ingredients that go into Coke, but it also has to know the methods to combine them in such a way as to create a tasty beverage. Often it’s the connections between ideas that confer the value rather than just the individual concepts themselves. Protecting trade secrets is all about watching your back. You want to make sure that criminals, employees or competitors can’t get access to your information by reading it written down somewhere. Shredding paper is vital for security according to All The Stuff. Shredding makes it virtually impossible for people to reconstruct the content your business creates, or put together a paper trail that leads them to an understanding of your product. Keeping secrets, therefore, requires physically managing and destroying your archives where possible. You might think that working with a company in a different sector would be a safe bet. But remember, companies are only made up of individuals, and those individuals still have a financial incentive to obtain your secrets and sell them on to your competitors. Monitoring partnerships and collaborations can be difficult. You want to maintain trust and openness, but at the same time, you want to prevent any threat to your company’s trade secrets. The trick is to compartmentalise access to your firm where possible. Other organisations should not have unlimited access to your facilities: just those areas in which you require their services. You can also use NDAs here too, where applicable. Unfortunately, even with the best protection in the world, eventually, your secret will come out. Somebody will figure out independently how you do what you do and emulate it, hurting your market value. The best defence against this is to innovate and come up with something better continually. Even Coca-cola, a company that generates billions off-the-back of mixing caramel with carbonated water, is experimenting with new recipes it hopes will continue to give it an edge in the future. The best way to protect trade secrets is to create more of them and make them better. Continuous innovation means that other players in the market are always having to play catch up. Firms should make protecting their secrets a priority. Staff should be aware of the need to keep information private, and there should be legal consequences for anyone who steps out of line. 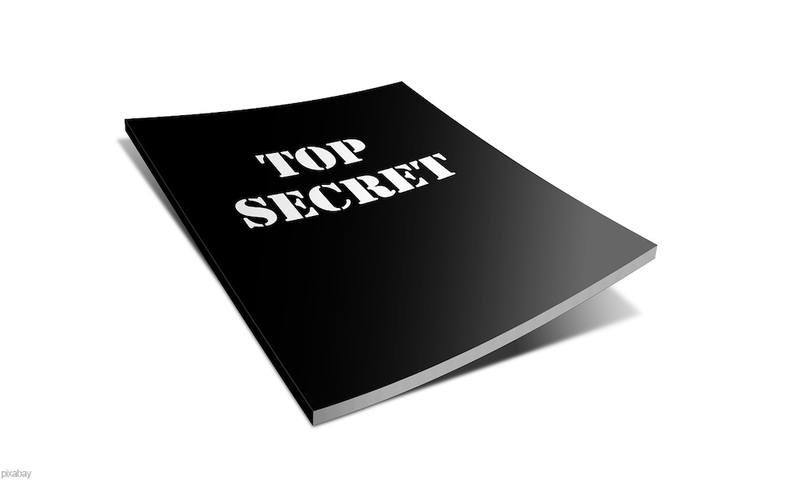 What Do Trade Secrets Protect? Did you know that 30 percent of startups will fail within two years of opening their doors? Fifty percent will fail within their first five years of business, and 66 percent will fail within their first ten years. Do you want to keep your business from falling into one of these groups? Do you want to be part of the elite few that survive for ten years and beyond? It’s not easy to build a successful business, but it’s definitely not impossible. This is especially true if you’re frugal and take steps to save money wherever possible. Listed below are six great business tips that will help you save money while getting your startup off the ground. Most entrepreneurs are not so naive as to assume that running a business is an affordable process. However, many entrepreneurs don’t realize just how much money is required to start a business and keep it going. There are a lot of hidden costs associated with starting and running a business. You need to be prepared to pay these costs if you want to keep your business afloat. 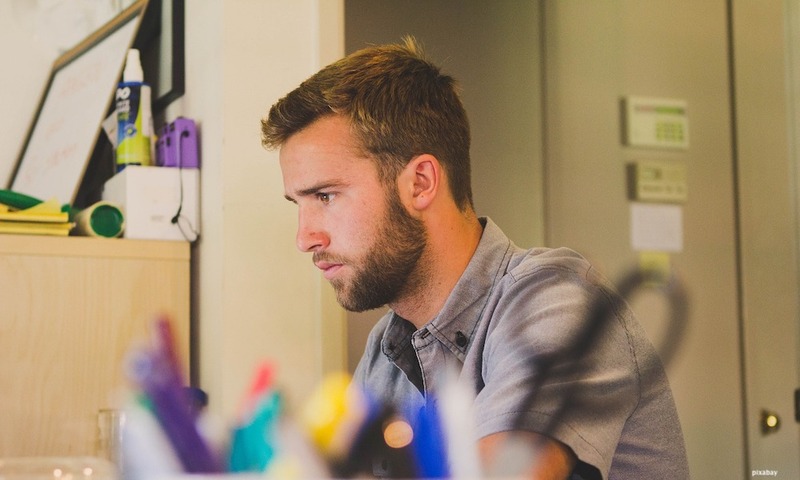 If you make sure you have enough money set aside in your budget for these expenses, you’ll be much better off than lots of other entrepreneurs in your industry. A good SEO (search engine optimization strategy) is essential for businesses that want to be easily found in 2019. With the right SEO strategy, you can boost your business’s search engine rankings. This, in turn, will help to significantly increase the likelihood that people will be able to find your business online. Many business owners spend a small fortune on SEO. You don’t need to do this to have a successful strategy, though. You can do a lot on your own to help your business show up in search engine listings and get in front of the right customers. Of course, the trade off is that you’ll have to spend time researching the best SEO practices. By doing this, though, you’ll have the knowledge you need to grow your business and you won’t have to rely on someone else to keep your company relevant online. It’s not necessary to spend thousands of dollars on a professional web developer, either. Would a professionally designed website be nice? Certainly. Do you need it to start growing your business, though? Definitely not. There are lots of low-cost tools available online that will help you design a functional, aesthetically pleasing website in no time at all. Make use of one of these programs as you get your business up and running. Many of them also give you access to SEO tools that will help you further grow your business. Later on, when your revenue is higher, you can always invest in a website redesign. For now, though, a DIY approach will work just fine. 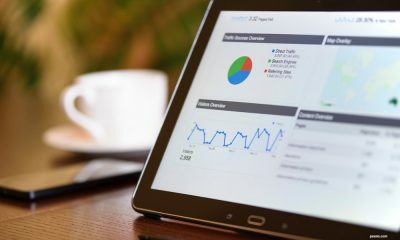 You can save a lot of money as you’re getting your business off the ground by making use of the free tools Google has made available to anyone who has a website — including you! All you need is a Google account to make use of these resources. Two tools that every business owner ought to use are Google Analytics and Google Webmaster Tools. Google Analytics does a great job of providing you with essential data on your business. It tells you who’s visiting your site, how they found it, how long they’re staying there, and more. For first-time users, Google Analytics can be a bit intimidating. There are tons of online tutorials (also free) that help to simplify the process and provide you with guidance, though. Google Webmaster Tools tells you more about how healthy your website is. It also makes it easy for you to create pages for Google to index. This, in turn, boosts your SEO and helps other people find your business online. If you’re considering spending thousands of dollars to promote your social media pages or hire someone to boost them for you, back away slowly and reconsider your approach. You can build a strong, engaged social media following without spending a ton of money on ads or other strategies. When you follow these tips, you’ll not increase the number of people following you, but you’ll ensure that those people are actually interested in what you have to offer. Finally, don’t waste a ton of money on signage for your business. There are lots of online programs that will help you design high-quality, eye-catching signage at a fraction of what a designer would charge you. You might want to find out more about DIY digital signage, too. With the right tools, you can create great digital signs that will attract even more people to your store. As you can see, there are a lot of different approaches you can take to save money and make sure your startup continues to grow and thrive. Put these business tips into practice and you’ll have a much easier time keeping your business afloat. Do you want to learn more about building and running a business? If so, we’ve got tons of resources available to you. Check out the Management section of our site today for helpful articles that will teach you everything you need to know about dealing with employees, budgeting, customer service, and more. Are you looking at starting a new business venture? If so, then you might want to consider a dropshipping company. One of the benefits of the dropshipping trend is that anyone can do it and when we say anyone, we really do mean it. In fact, one student managed to establish a dropshipping business worth just $1.2 million in just a few months. Do you want to get started with this venture yourself? Well, first you need to know what dropshipping is! Dropshipping is a supply chain management method where the retailer or person selling the items does not actually have them in stock. Instead, when the customer places an order, the retailer will send the request directly to the manufacturer or the wholesaler who will then take care of the shipping. The goods will be directly shipped to the customer by the manufacturer which makes the entire process easier for the retailer, and more secure for the recipient. This is a common practice among online stores, especially those that are just starting up. The entire management system makes it easier for online stores to get the products to the customer, as they do not then need to order the items in. It also means that the items are less likely to be out of stock if the purchase is going straight to the manufacturer. You might not find success immediately dropshipping. Remember that student we mentioned who now owns a $1.3 million business? Well, he actually started by making a loss of $15,000. As such, it can be trial and error as his second attempt was actually far more successful and took off. Does this mean that it all comes down to luck? Well no, not quite, because you do need to first think about the product that you want to sell. You need to make sure that there is going to be a high demand or that you can create high demand. Since you will still be running an online store, you also need to think in terms of systems and hosting of your website and online store. 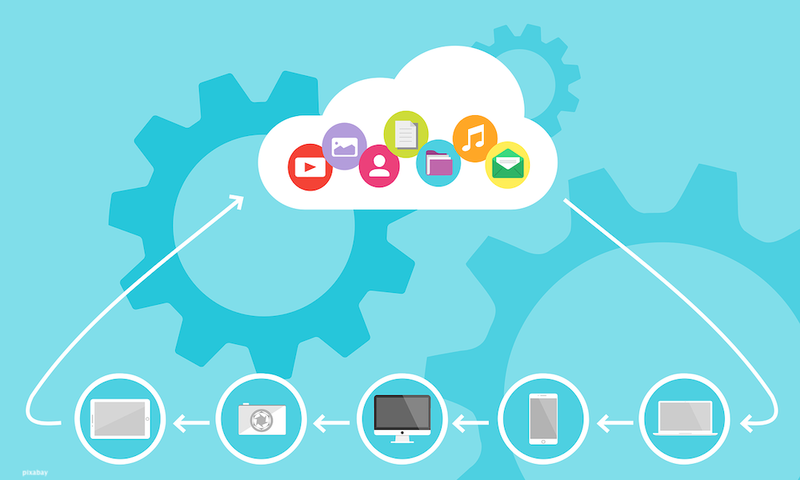 There are clear pros and cons for both on-premise versus cloud hosted software and you’ll want to make the right decision for your business. What are your storage, speed, security, requirements and then there’s also the marketing and promotion. These days, it’s important to focus on digital marketing like SEO. Finally, you need to make sure that you locate a manufacturer who is willing to work with you, dropshipping the products you sell. This can be quite complicated and will typically involve negotiations. Don’t settle on the first manufacturer you find and instead look for the one that perfectly matches your business model and is able to provide to your requirements. You will also need to select a selling platform. A selling platform needs to be user-friendly and easy to manage. There are countless options available on the market, so make sure you research a few before settling on the right one for your business model. 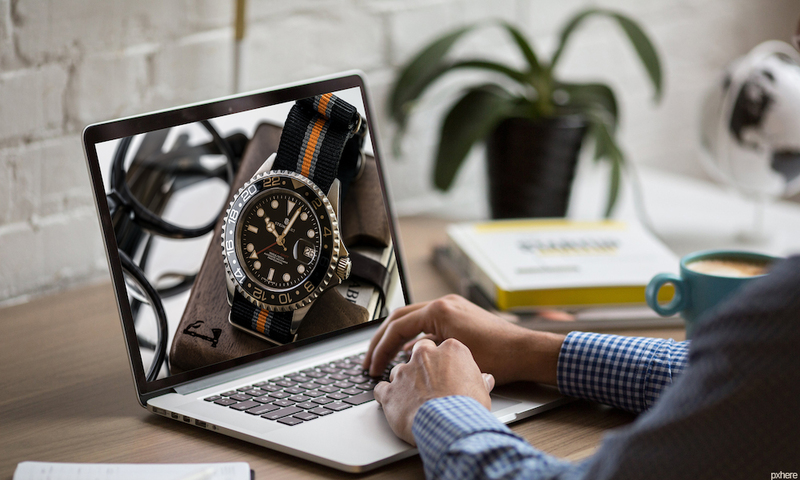 We hope that you have found this article useful, and now know how you can create a successful dropshipping business that could be worth millions! Take the chance and start your company today for this opportunity. What is Dropshipping And How Does it Work? Video conferencing isn’t just an effective tool for presentations and staying in contact with remote workers and clients. When utilized correctly, video conferences can increase the efficiency (and therefore the profits) of your business. Here’s how. How Does Video Conferencing Work? Video conferencing is simple in practice. You simply choose a conference platform and connect via the web to the other users scheduled for the conference. The conference is presented in high definition video and audio, and often the interface includes extra tools like screen sharing software and document sharing. The travel industry brings in billions of dollars annually, a large percentage of that number being from business travel. Costly flights, taxi rides, car maintenance, and gasoline; all of these are costs associated with business travel for meetings, seminars, and training events. With video conferencing, you can eliminate the need for travel. Not only does this eliminate travel costs, but the employees will be appreciative that they don’t have to leave their families. It’s important to remember that employees are people with families and lives of their own. Video conferencing can be just as or even more effective than an in-person conference. You’ll be able to see the attendees in high definition, so it’s very similar to having them there. You can utilize screen sharing software in the conference to improve the message and increase retention. If you’ve got a new product, procedure, or some other addition that you need to provide training for, try using a video conference to present the training materials. Video training is actually quite effective and improves the efficiency of the training process. You can even record the video presentation with certain video conference services to store for later use, so you don’t have to take the time to present the material every time you hire someone new. Hosting an online seminar is a simple way to gather dozens of employees and partners together without actually requiring the long trips and hotel costs of a traditional seminar. Using a video conference service to host a seminar also eliminates the cost of renting out a venue. Essentially, a video seminar is the most cost-effective way to host an event. You can create the content from the comfort of your desk or even at home, and the seminar participants can attend from the same comfort. More comfort means more retention, so you’re likely to have more effective seminars as well. When you’re hiring new employees or working with new clients, you can utilize video conferencing to complete interviews, sales calls, and more. Video conferencing is the next best thing to actually meeting in person and subtracts the travel time and cost from the equation. Video interviews allow you to watch the applicant’s body language and match a face to the name, which is something you simply can’t do over the phone. While a phone call can provide a lot of valuable information on a new hire, a video conference will let you see the whole person, rather than just hearing their voice. This also applies to new clients, especially long distance clients that you can’t actually meet in person. You can augment your conference call with screen sharing and document sharing, so any information that you need to give to the client can be shared right in the interface. Does anyone really want to sit in a stuffy conference room with a dozen other people and listen to a presentation on sales numbers? There’s usually at least one person dozing in the corner, another on their phone, and more than a few that simply don’t show up. Even those that do show up are usually bored to the point of disengagement after the first hour of the meeting. That’s where video conferencing comes into play. Instead of sitting in a room with other people, meetings can be hosted and joined from anywhere in the world. This flexibility will allow your employees to participate in a meeting from a place of comfort, which will improve their engagement in the material and their retention of the information you’re presenting. 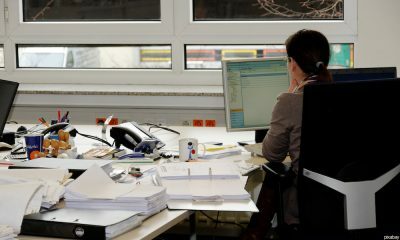 It goes without saying that improving the effectiveness of your meetings can greatly improve your business’ efficiency. Participants will feel confident about the important information you’ve presented, and there will be no need to revisit the material because no one was able to retain it. Improve your business meetings by making the change to video conferences. Include screen sharing for visual materials to augment the effectiveness of the video conference. When you save time, you’re automatically saving money. The old saying time is money is absolutely true in business. When you’re spending endless hours participating in inefficient meetings, you’re basically throwing money down the drain. Save time by incorporating video conferencing into your meetings. Once you see just how efficient this tool is, you might just make the change to permanently use video conferencing for all of your future meetings. Increasing efficiency is the number way to increase the profitability of your business. Expenses add up quickly, and by using a simple tool like video conferencing, you can eliminate some simple yet costly practices. Have better meetings and presentations, eliminate travel time and cost, and improve employee retention with video conferencing.